Find the perfect memorable phone number. 37,259,575 numbers to choose from! A Vanity number allows your customers to easily remember how to reach you. Buy your phone number and get the benefits. Why Get a Vanity Phone Number? A vanity number is a telephone number whose corresponding keypad letters spell a word or name. What is an Easy Dial Phone Number? 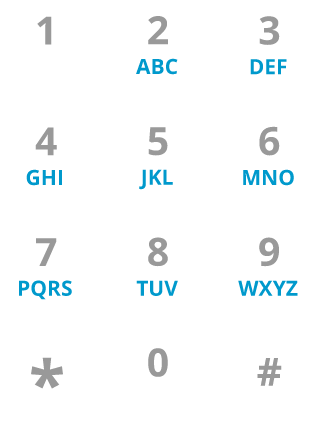 Easy dial numbers have simple, easy patterns with either repeating digits or alternating digits versus a number with seven random digits. Search for new phone numbers based on State, Area Code or vanity keywords. Toll free and local! Select a call forwarding plan and begin forwarding calls to any US or Canadian phone number. Have an existing phone service? We'll help you port the number out to your current service provider.